Has 2 PCIe slots which support 2 wireless (WLAN/WWAN) minicards! 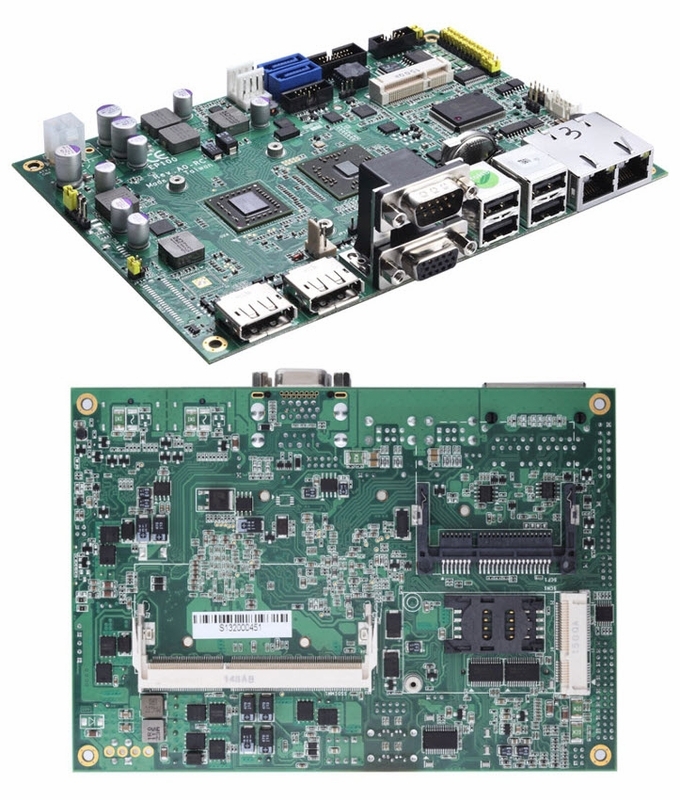 The EP100 EPIC board, with AMD G-Series APU single core T56N and Radeon HD 6250 graphics, combined with the AMD A50M FCH, is ideal for graphics-intensive applications such as high-end medical imaging, digital signage, kiosks/POI, thin clients, and gaming machines. The onboard SO-DIMM socket supports maximum up to 4 GB of DDR3 1333 memory. Integrated AMD HD graphics with DirectX 11 technology, the small foot print embedded board offers stunning 3D visual effects and dynamic interactivity. The EP100 comes with three display outputs with two combinations: two DisplayPort and one VGA or one DisplayPort plus a VGA and 18/24-bit single/dual channel LVDS. 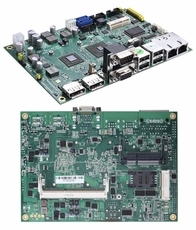 Additionally, it provides dual gigabit LAN ports for high-speed wired communication and two PCI Express Mini card expansion interfaces, one with SIM slot, for seamless wireless communication (WiFi + 3/4G).